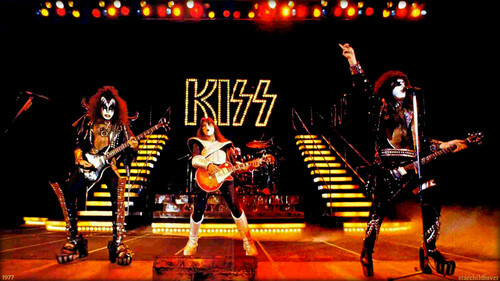 ciuman 1977. starchildluver. HD Wallpaper and background images in the ciuman club tagged: photo kiss paul stanley ace frehley peter criss gene simmons 1977. This ciuman wallpaper might contain konser. K.I.S.S - Creatures Of The Night 12” custom figures!